It’s all happening on Broad street between Snyder Ave. and Jackson St., right in front of South Philly High School. The event runs from 9:00 AM and 3:00 PM, with event proceeds going toward the LoMo Civic Association. Attention Vendors: There’s still time to reserve a space! Register online today. Neighborhood residents, professional vendors, crafters, and artists are all welcome to apply. Don’t think you have enough stuff for your own table, but still want to clean house? LoMo will gladly accept donations of household items, electronics, books, toys, collectibles, pictures and frames, and small appliances and furniture to be sold on the day of the flea market. Proceeds from the sale of these donated items will benefit our civic association. Your donation is tax-deductible. 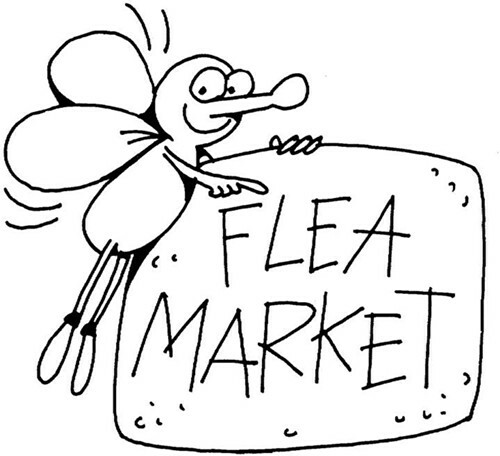 Simply stop by the flea market on the day of the event to drop off your items and we’ll issue you a receipt. Rain Date: Sunday, April 26th. Sometimes the weather doesn’t cooperate. If that’s the case, we’ll shoot for the next day, same time, same place. If the weather seems questionable on either day, keep your eye on this space for updates or visit our Facebook and/or Twitter pages. Want even more details about the LoMo flea market? Visit our Flea Market page.